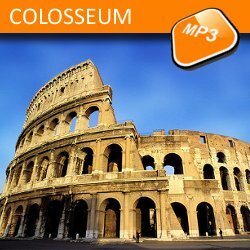 Description: The colosseum is first of all the largest amphitheatre ever built in the roman empire and one of the top Italian tourist attraction. Its construction started under the emperor Vespasian in 72 AD in the site of the former Nero's golden House, known as the Domus Aurea. Originally, it was called Flavian Amphitheatre, simply because the Vespasian's Family name was Flavius. The colosseum was inaugurated by Vespasian's son Titus, in 80 AD.